ShoCard is a digital identity and authentication platform built on a public blockchain data layer, using public/private key encryption and data hashing to safely store and exchange identity data, which includes biometrics such as fingerprint, facial, iris and voice. 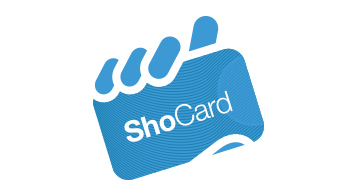 ShoCard’s approach to identity is different than existing solutions in that the user owns and carries her own data within her mobile app and is the sole person who decides with whom to share it with and which pieces of identification to share. The blockchain in then used to validate that information and confirm other third parties who have definitively certified the identity of the user. There is no privately held central location that holds user’s private information and pieces of a user’s identification do not need to be spread in other services in order to authenticate or prove ownership of an account. The mobile app is as easy and intuitive to use as a driver’s license, but secure enough for a bank. Our clients are enterprises that serve their end users in Fintech, Air-Travel, Government and IoT verticals. • Credit card transactions — verify individual’s identity & authority to use the card ( an improvement over the existing 3D Secure protocol). • Financial accounts — verify identity and account ownership without compromising privacy (biggest driver of identity theft), e.g. anti-phishing process, online banking security, no-password-login. • Call Center — Allow Customer Care groups to authenticate users in seconds over the phone. No more long series of questions to ask the user. • Air Travel Identity Management – Allow users to register once and travel through different airports with simple facial recognition.